Surprised it's Manchester and not Liverpool as Chris is a scouser and Liverpool supporter. Does anyone have a list of where the US forumites are based? I'm looking to make Edinburgh. Is he really? I knew he was from Liverpool, I have had a season ticket there for over 30 years. That surely will get any chat off to a good start! 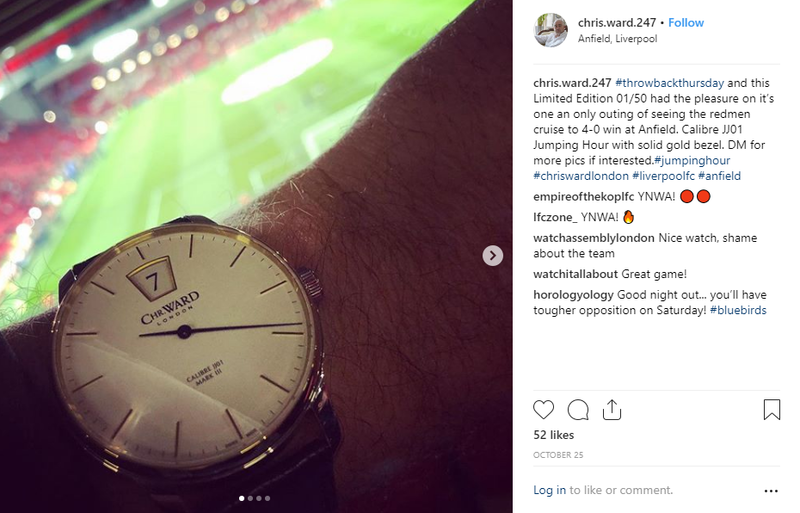 He's the guy selling watches at the back of the Kop! Ha Ha - blimey, I will definitely have to meet up with him, will have to see if he goes regularly like me. 2) with three trips to Edinburgh in the new year to watch rugby, a permission slip might be tricky to get signed. Well that conversation went better than I could have hoped for. I’ll be there. hughesyn wrote: I'm looking to make Edinburgh. Auld Reekie for me, I'll book that weekend off tonight when I go into the Fun Factory. Will all these be weekend dates? Dates for the future GTGs are under consideration. Could well be a weekday. A lot depends on Chris Ward's diary and feedback after this first one. I'll give York a wave as I drive by on my way up to the big E.
What's the plan for Sat 19th Jan in Edinburgh?